There are many community sites you would find on the internet with the best known forums and dating sites. There are also community sites where people interact and give their options and suggestions. 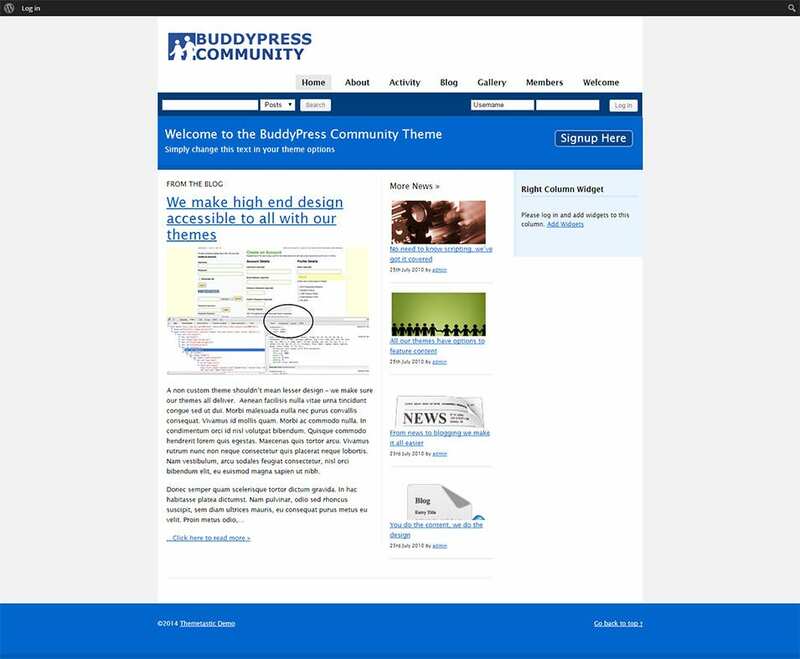 If you are designing a community themed websites, you can go for the WordPress community themes. 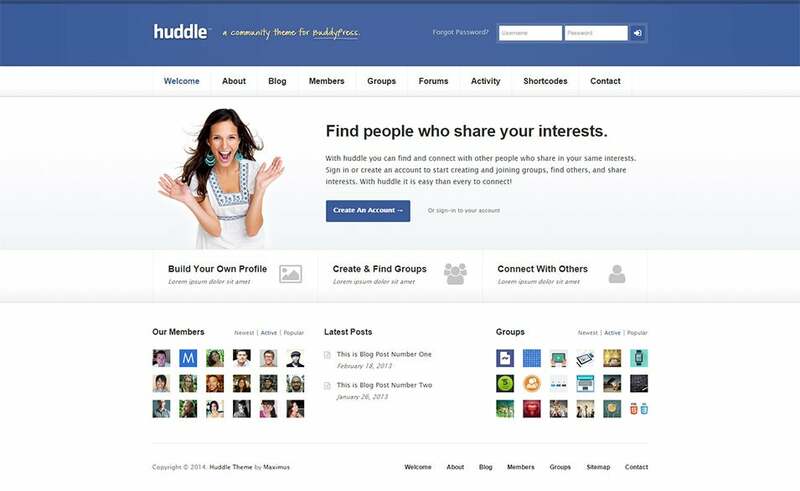 These themes are designed to make social networking and collaboration among the community groups easy. The community websites are becoming a big business on the internet. 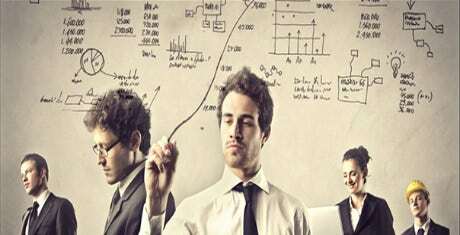 They are targeted by marketing professionals as one way of pulling a targeted group of consumers who can be influenced and converted into customers. For example, you can have a community that discusses about cancer and you have cancer professional and doctors giving their ideas on how to manage and deal with cancer. 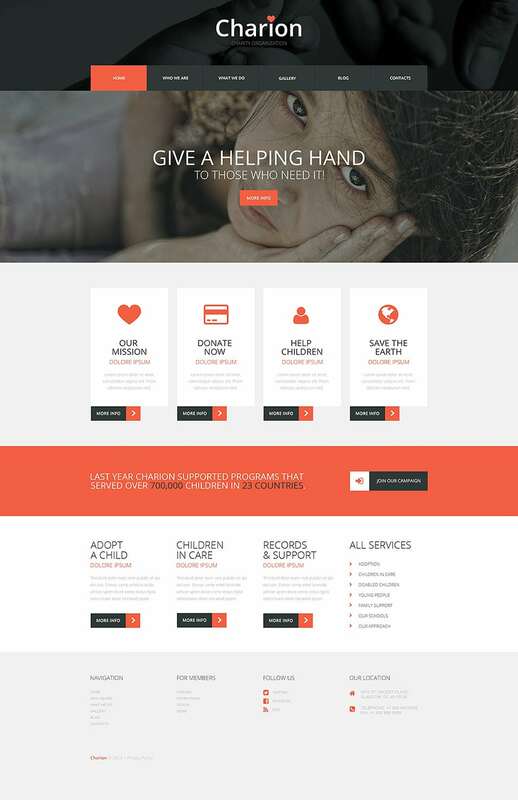 You can also see Charity WordPress Themes & Templates. Designed with HTML/CSS3 codes, this template offers some very powerful features. A perfect choice for a blog or a portfolio, it comes with a wide range of stock images that can enhance the look of your website. 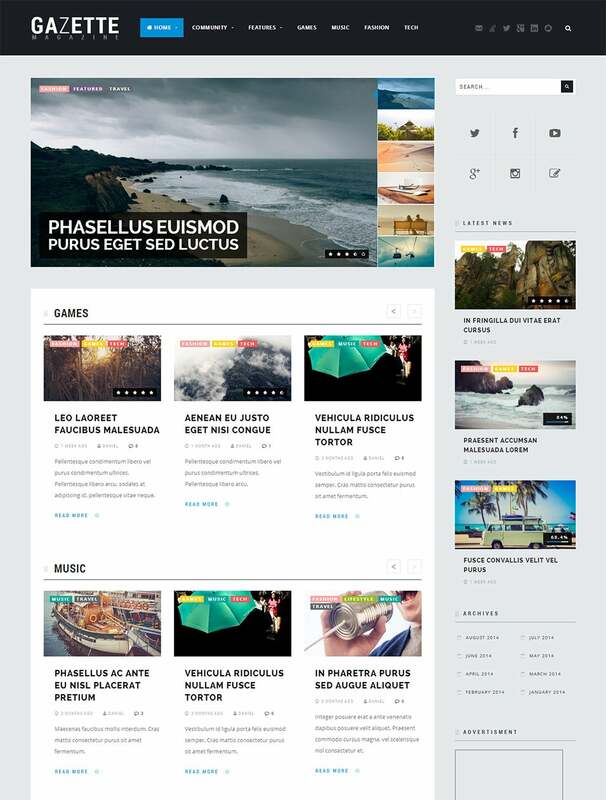 Amazing navigation features, social media widgets, drop down menus and various other advanced features, add to the contemporary appeal of the template. Whether you want to set up social media platform or a community page, this template would be a perfect pick. Compatible with both BuddyPress and bbPress, this template offers you a number of customization options to design a website as per your preference. Comprising of 10 layout styles, 6 distinctive pages, powerful widgets, varied color schemes and font styles, creating a modern and professional looking website is quite easy and fun. Created using HTML5/CSS3 coding, this template offers parallax effects that enable you to add animation to your webpage, thus giving it a more attractive look. Compatible with all internet browsers, this template is SEO optimized and will help in driving more traffic to your community website. The responsive design ensures that the website can be viewed on all devices. Choose from various color schemes, layout styles and fonts to design a perfect website. 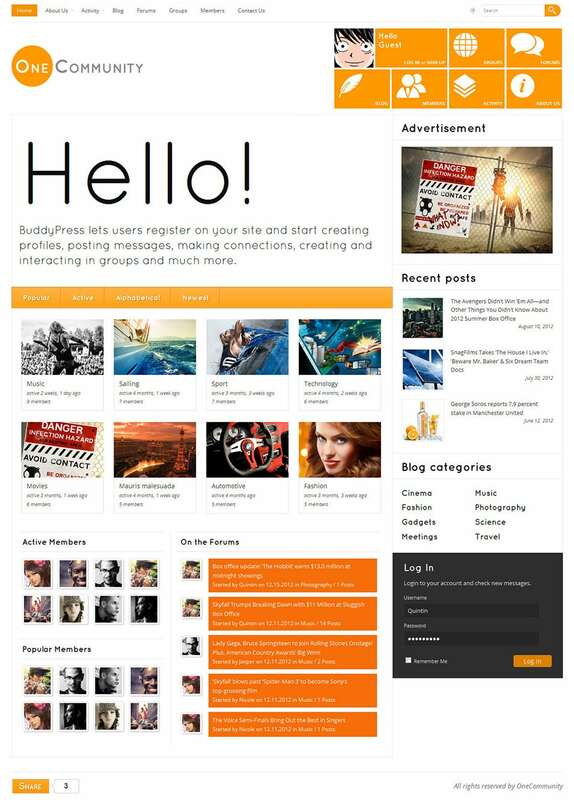 Integrated with the BuddyPress plugin, this template helps you to create a user friendly and interactive website and allows the users to create their profiles and invite their friends. Compatible with the latest version of bbPress, it is also integrated with WordPress Ajax Search Pro and rtMedia which offer better browsing experience to the users. The theme customization plugin helps in adding a personal touch to the website by altering the template as per your tastes. 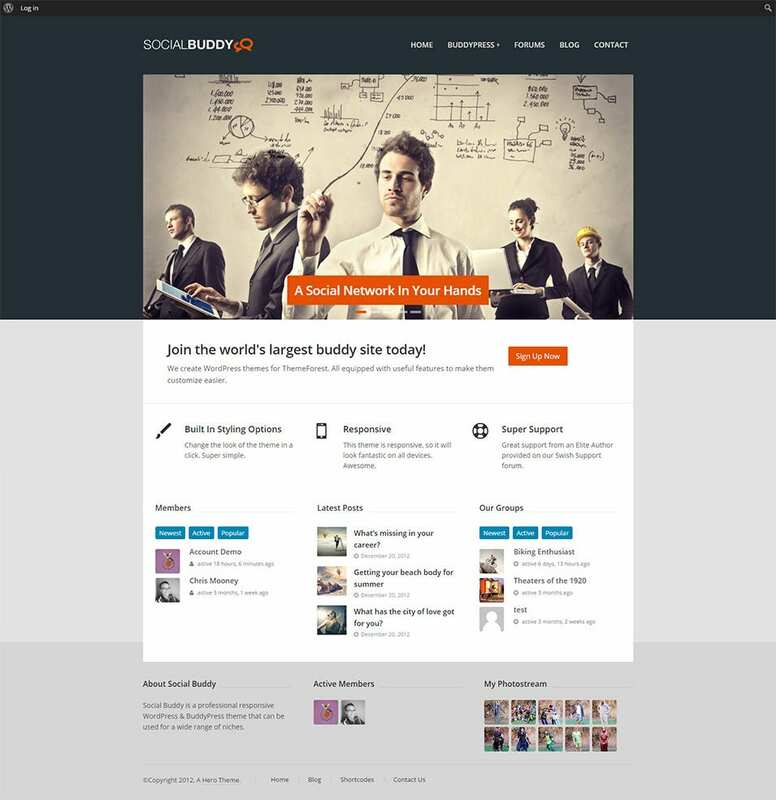 Created using WordPress, this is integrated with BuddyPress plugin that enables you to design an interactive website. Its minimalistic design with more than 40 shortcodes makes customization a simple task. Comprising of various custom features like widgets, drop down menus, contact forms, layout styles etc, creating a website that suits your needs is quite easy. This highly responsive template comes with a unique translation option that can be used to translate the content into languages like German, French, Spanish or Romanian. 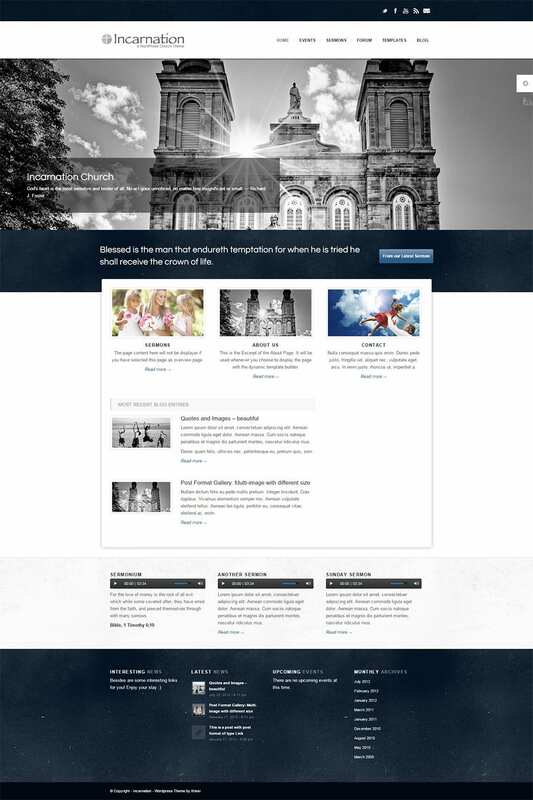 It offers features like adding audio and video files of sermons and other important events, a community forum, event calendar etc which allow you to design an interactive community website. Quick and easy customization with various customization options is an added advantage. Compatible with bbPress, BuddyPress and WooCommerce, designing an interactive community website using this template seems quite easy. Choose a layout from the 6 preset templates or design your own with the amazing drag and drop builder. Social media integration is made easy with the preloaded social media widgets. The revolution slider offers enhanced navigation and the retina ready design ensures better display. 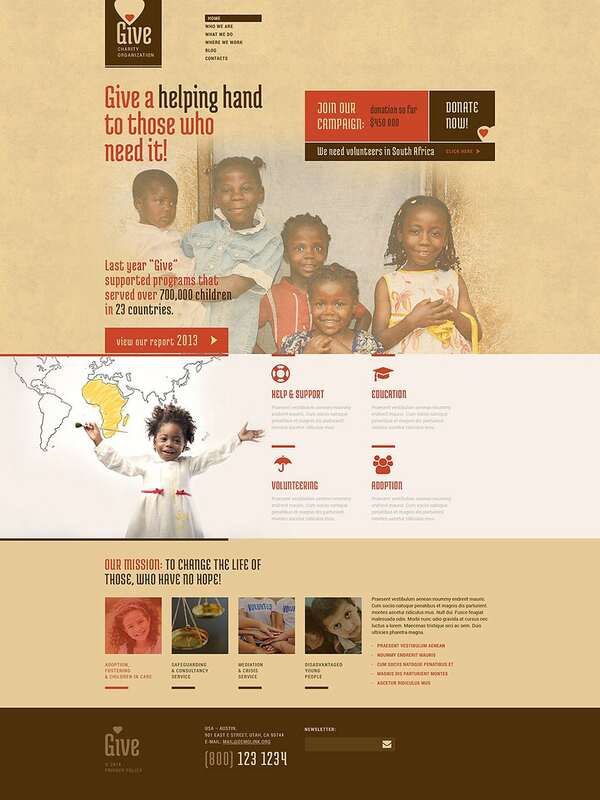 From designing a community webpage to an online magazine, you can use this theme for anything. With a wide range of custom widgets and a theme customization plugin, making changes is quite easy. Enhance the user engagement with the social media integration options. The custom menus allow you to improve the ease of searching content. Designed using WordPress, this theme comes with customizable drop down menu options and built in widgets, which help in designing a user friendly website. The full width page ensures better visibility and responsive design offers quick adaptability to various screen sizes. Compatible with all web browsers, keeping an eye on the subscribers and social media users becomes easy, thanks to the integrated counters. 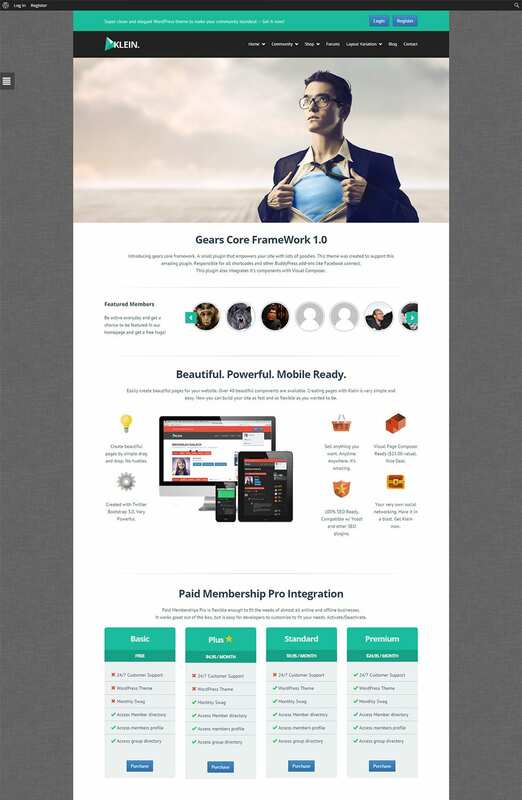 Create a social media platform using this WordPress theme with a responsive design. Compatible with BuddyPress and bbPress, engaging the users and getting them to register is quite easy. With a wide range of powerful shortcodes, customization of the theme does not seem like a task. Designed by experts, the theme is SEO optimized. 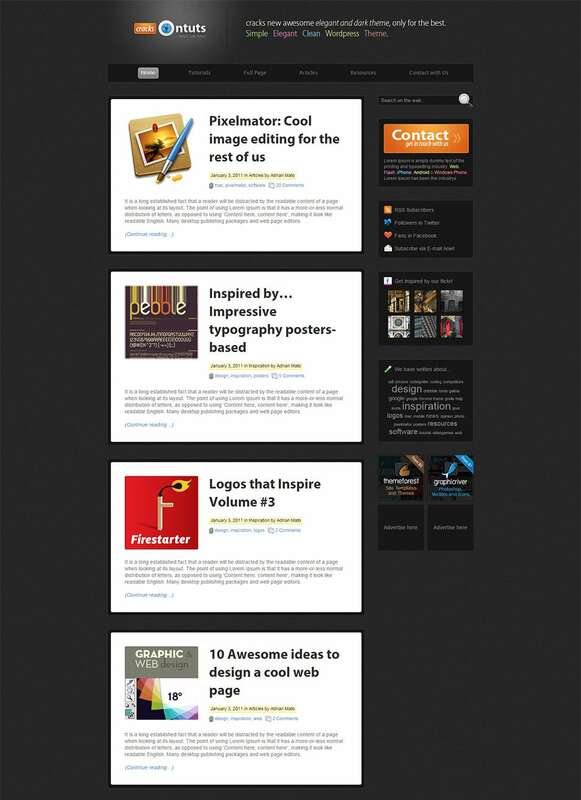 Integrated with a BuddyPress plugin, use this theme to design an interactive community page. Create your own layout using the easy drag, drop and scaling options. A bevy of customization tools enable you to make changes to the theme easily and that too without any coding. It allows you to add videos to your website. Better navigation is assured by the slider options. On the other hand, there are the people who suffer or want to know more about cancer. In these forums, businesses can target the patients to buy cancer treating medications while doctors could have their clinics and healthcare services known. Depending on the content which will be presented in the communities such as texts, short answers, questions and answers, photos, videos, or even articles and journals, you should make sure you have a theme that can support all that. You can begin exploring the power of the internet by building a forum site, which will draw a huge number of visitors using the WordPress community themes. You can also change and modify the theme features in order to align them with the needs of your community site. This way, you will be able to make the user experience great thus ensuring audiences will remain and spend more time on the site.